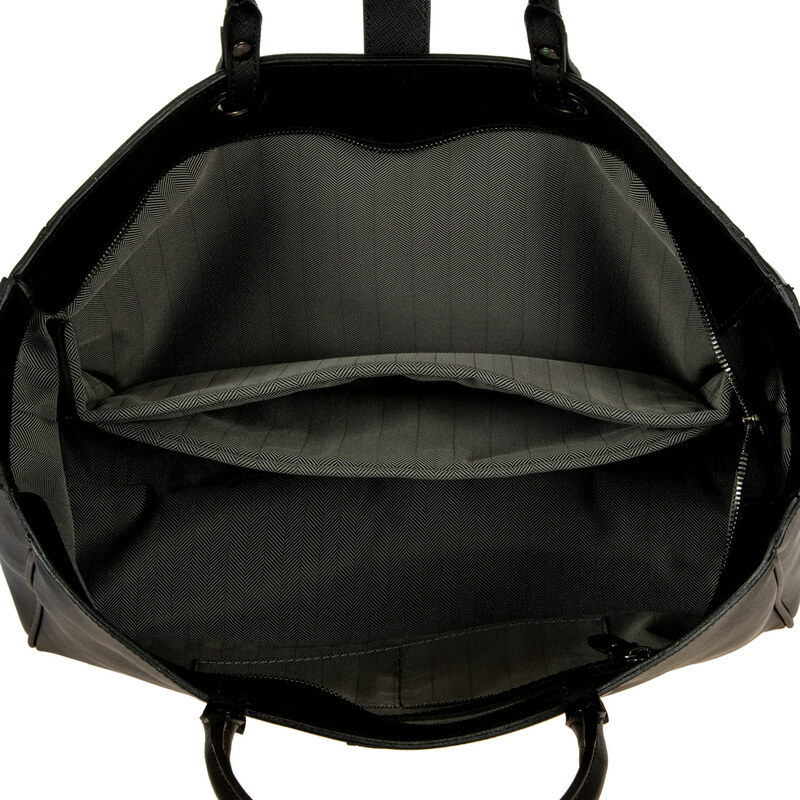 Shopper bag from Bric's Varese collection. 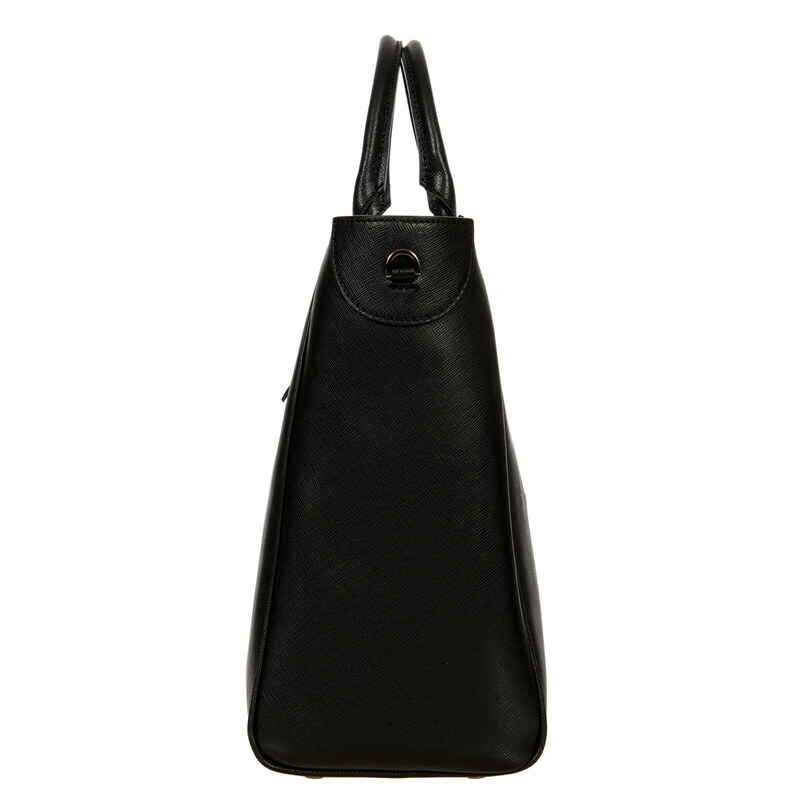 Complete with every comfort to ensure practicality and elegance, with classy touches provided by the leather details. 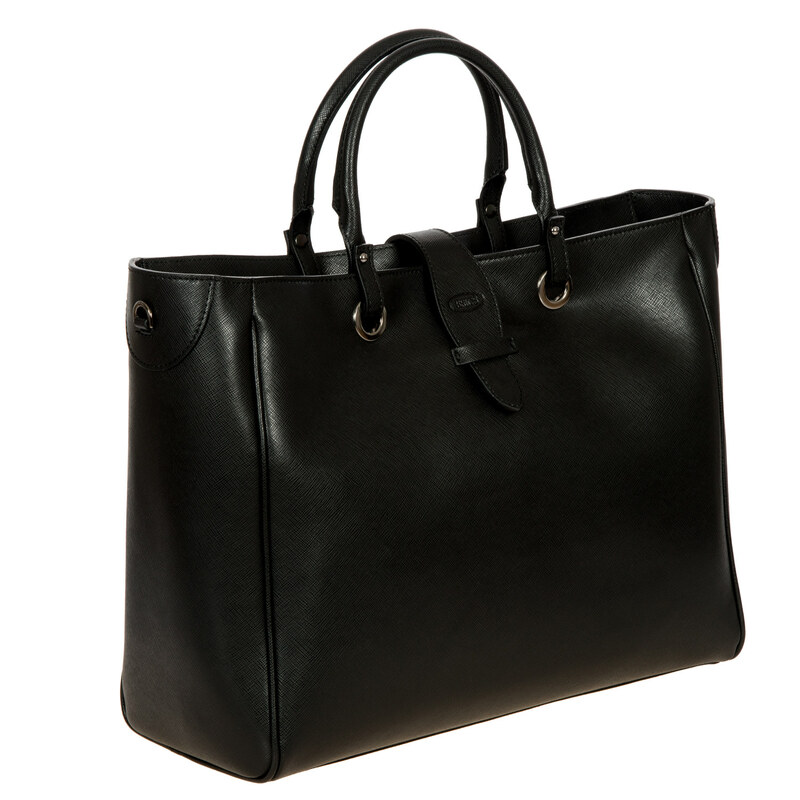 This shopper bag is made entirely from cowhide with a saffiano-effect texture on the surface, which is resistant, stylish and easy to clean.EXTERIOR: double handle, leather lace fastening with logo and hooks for the shoulder strap.INTERIOR: herringbone-look jacquard fabric, zipped side pocket.DETAILS: metal hardware. 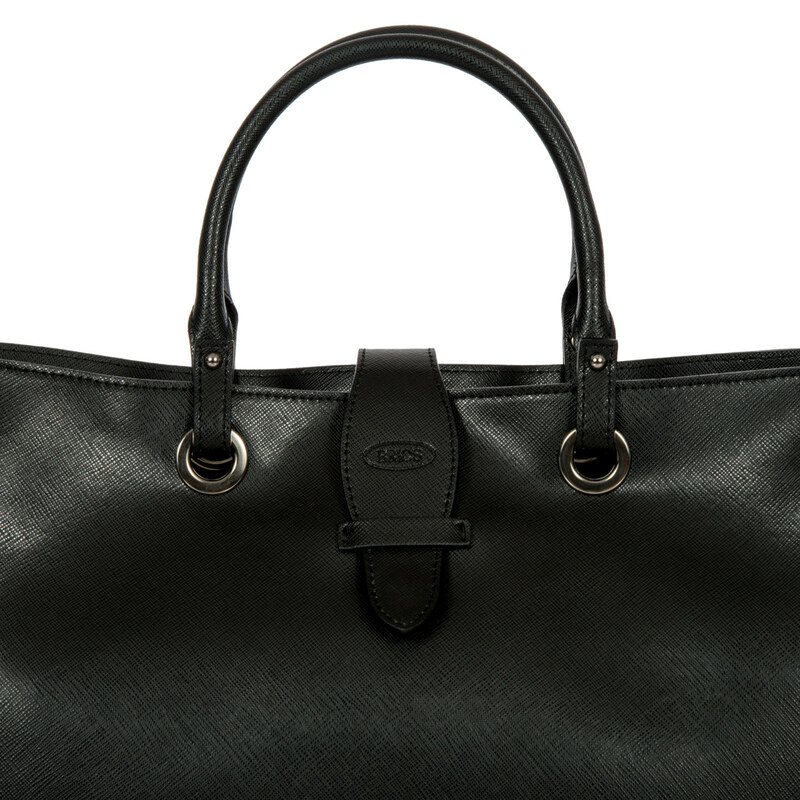 Varese Collection is finely handcrafted in Italy, from full-grain Tuscan Saffiano leather. 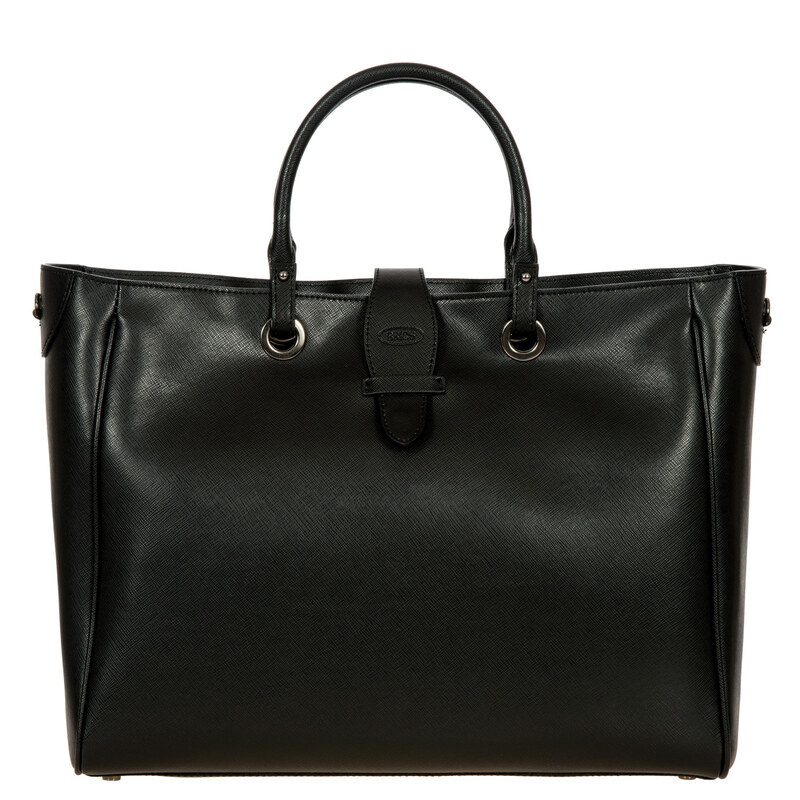 YKK zippers and fine hardware highlight the subtle crosshatch pattern of Saffiano leather - which lends a sophistication to the black-on-black line. 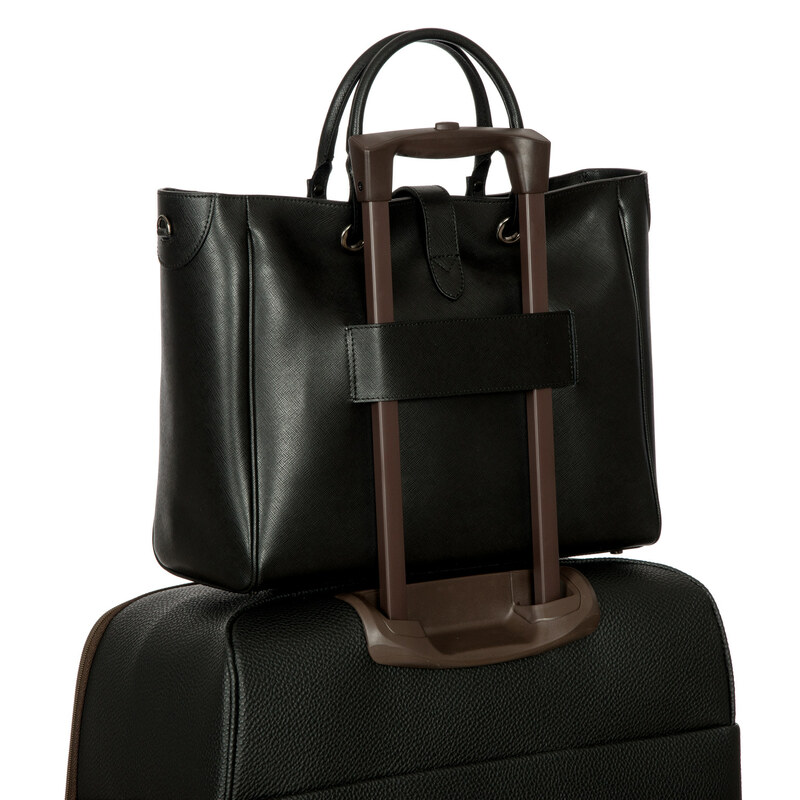 Varese includes carry-on spinners, business laptop bags and cases, backpacks, totes, and duffles.